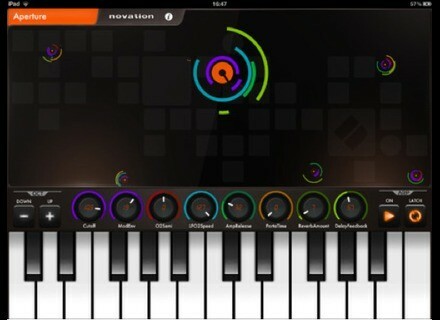 Launchkey App, Virtual instrument for iPhone / iPod Touch / iPad from Novation. Novation has released Launchkey for the iPad, an analogue modelling synthesiser. It comes with 60 synth sounds and is said to "give you a fast and fun way to play with sound." It’s a free download from the App Store. They've also developed the freely available Novation Launchpad for easily making and mixing music. 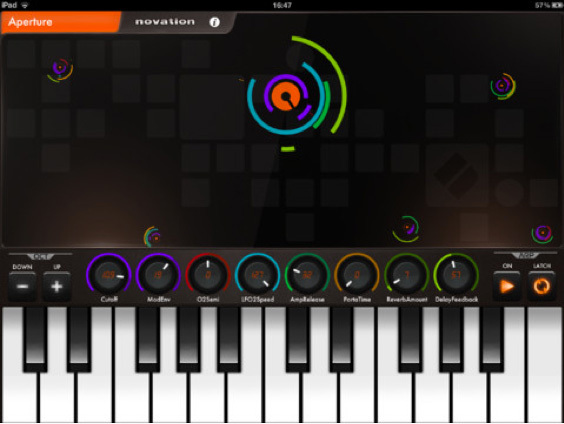 To view Novation's other cool free apps, click on the 'App Store' link above, then click on 'view more by this developer' on the top-right, or just type 'Novation' in your iTunes store search bar. Launchkey and Launchpad are iPad apps and are not compatible with the iPhone or iPod Touch. Launchkey requires iOS5 and above and is recommended for iPad 2, iPad Mini and Retina iPad. Free SynthMasterCM SoftSynth released with CM186 KV331 Audio and Computer Music Magazine have released the free (with magazine) SynthMasterCM software synthesizer plug-in. Sound Magic Neo GraphicEQ Sound Magic introduces its Neo GraphicEQ adjustable 16-band graphic EQ. Impact Soundworks Shreddage II Impact Soundworks has released their virtual guitar instrument Shreddage 2: Absolute Electric Guitar.